This post is brought to you by Shuttefly. All opinions are mine! 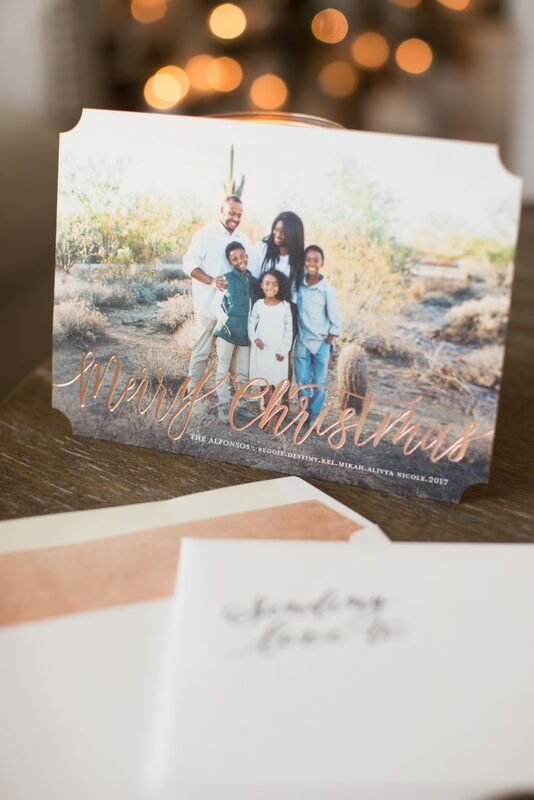 We are ahead of schedule this year and my Christmas cards are here! Signed and sealed! Just waiting to be delivered. 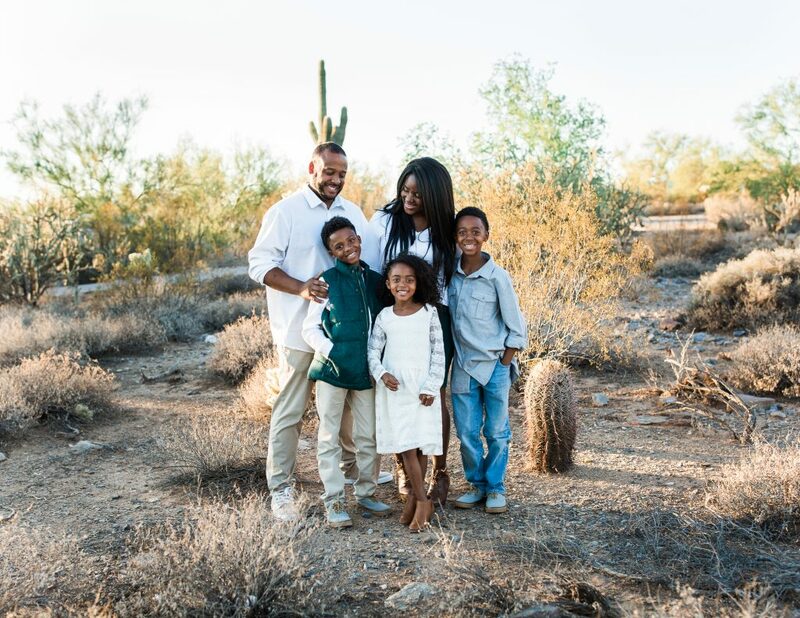 This year we were so happy to be invited to a personal session with the fabulous Lauren from Lauren Beglin Photography here in Phoenix. A true gem and a master behind the camera. 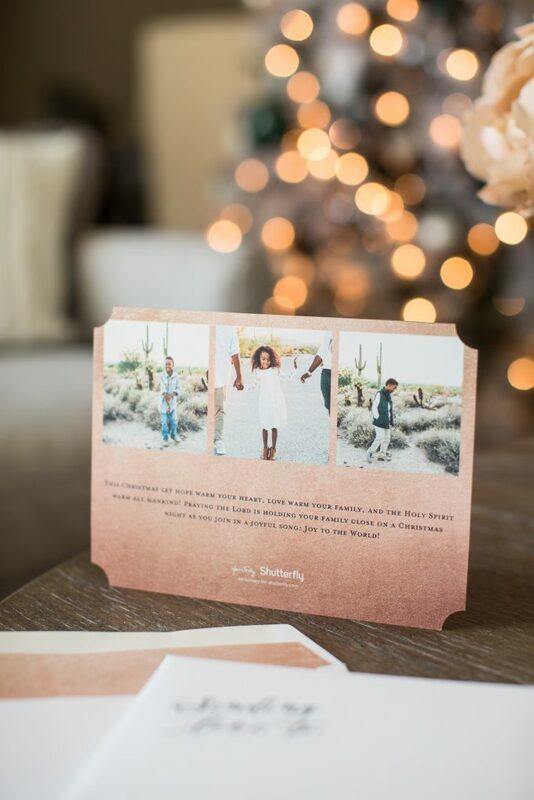 She got a ton of candid shots of us and of course I used them on our Christmas cards! 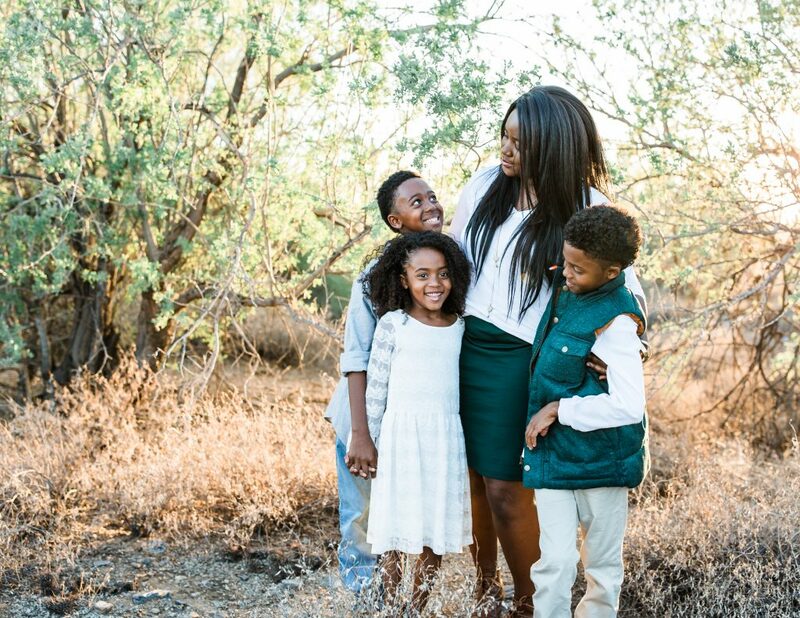 A great photographer is such a blessing and she definitely knows how to make families relaxed and get personalities to shine. 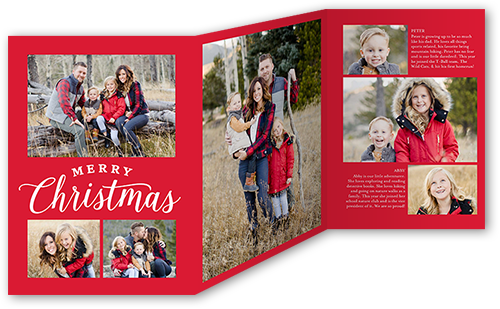 For this years cards I wanted to showcase a TON of pictures for our family and friends. 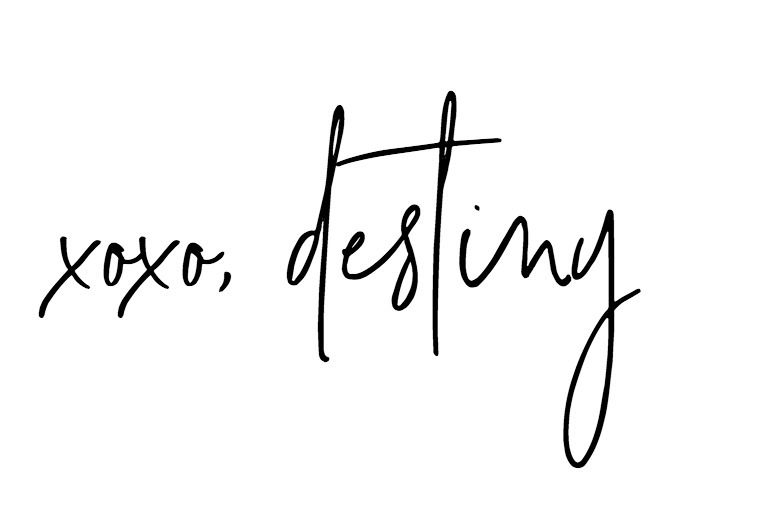 I’m actually not on Facebook at the moment,(I just felt like I needed a break), so most of these pictures will be new to everyone! Which is exciting right? Just like years in the past. 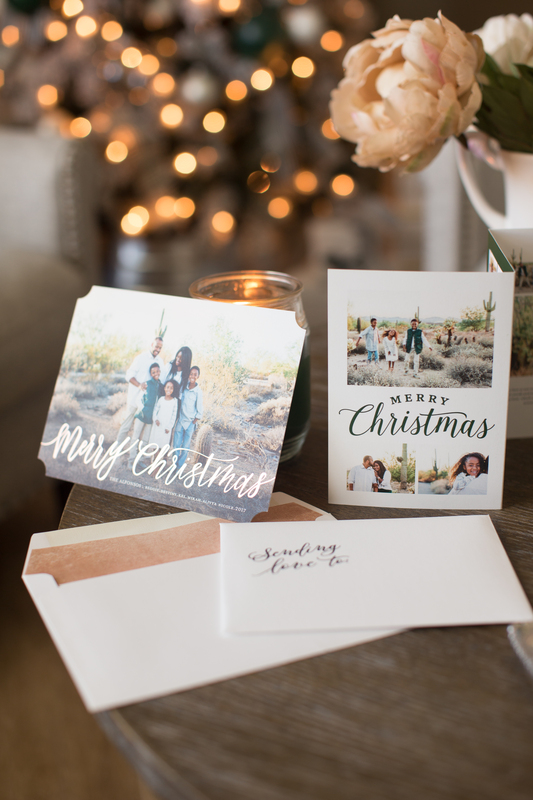 Shutterfly has a few options to choose from when it comes to a cards so I was excited to look around! 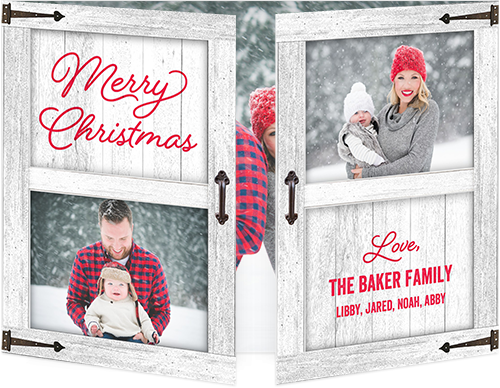 The Gate Fold cards are new this year and are the perfect way to wish everyone you know a Merry Christmas. I love the simplicity of it and the use of space! Try out this style here! 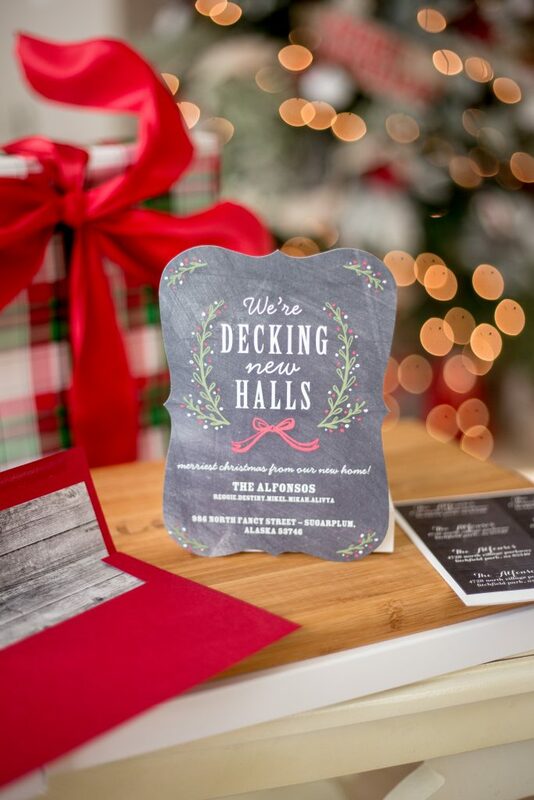 I ultimately decided on the tri-fold style because I could personalize it a bit more! 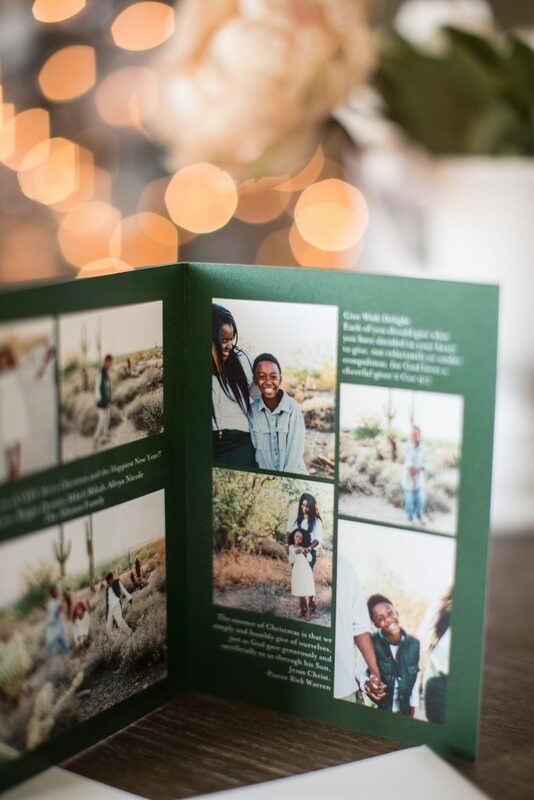 We ended up wearing hunter green in our photos so that’s the color I decided to highlight with our cards too! 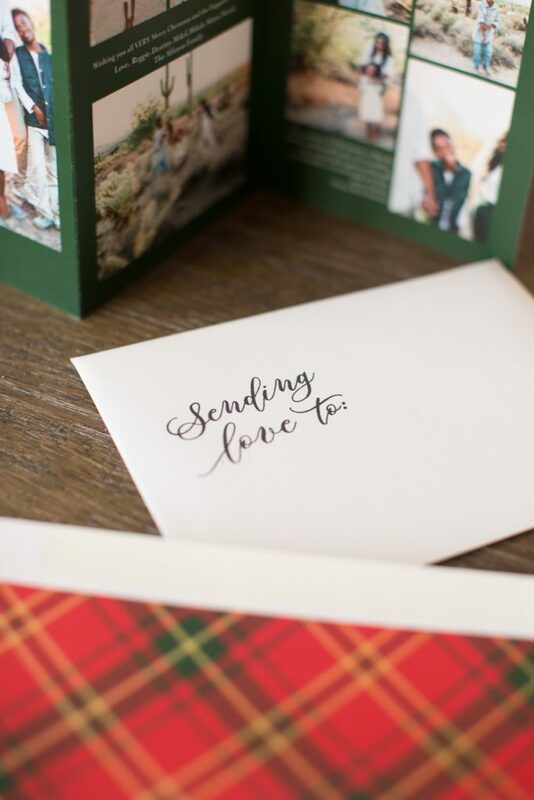 I also slipped in a cute plaid liner into the envelopes for a nice surprise. I love all the details they have to offer! I also ended up getting 10 different cards for other acquaintances! 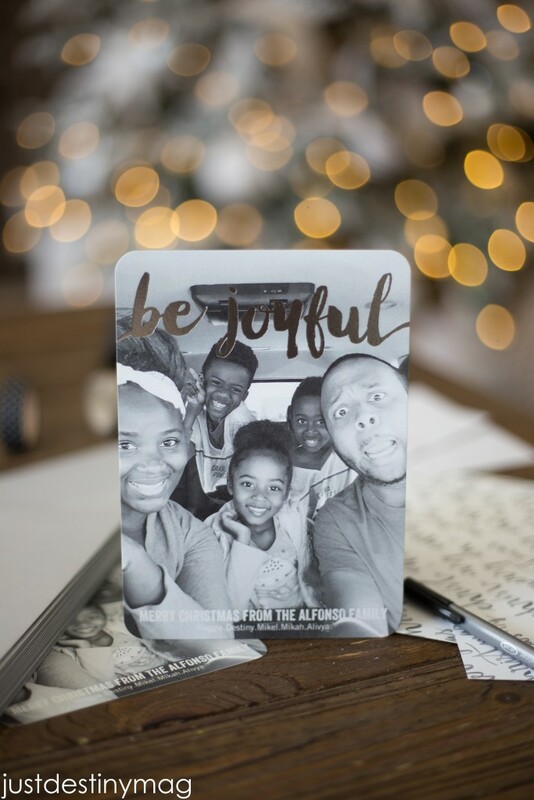 This is a great idea if your sending a card to someone you may have just met, teachers, or if your sending it into dental or doctor offices! I loved the simplicity and classiness of the script so much. I also got it stamped in a gorgeous copper color that shimmers in the light. To make it bit more personal I also changed the shape and added a coordinating insert to the envelope with some extra love on the front! You can do the same as well and even choose from a few more like scalloped or rounded like the one above. 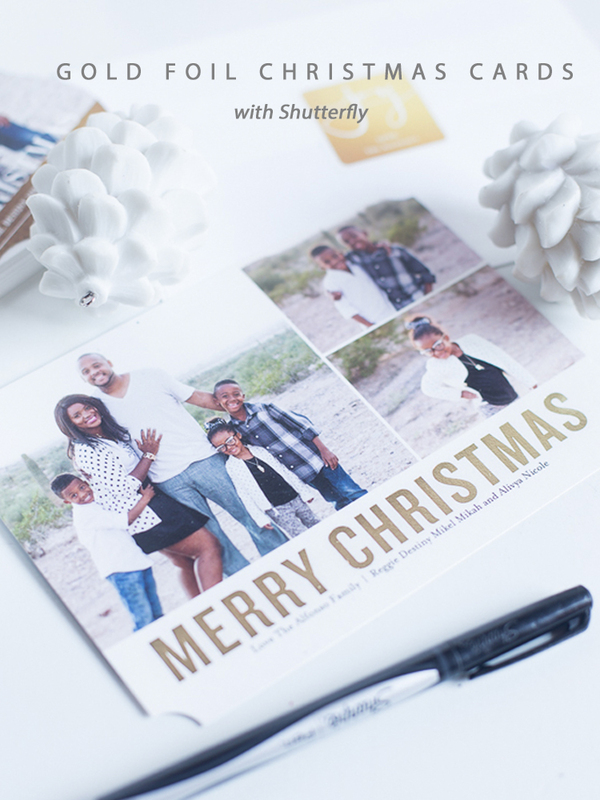 Shutterfly can also address AND send out your cards for you! One year when I’m a bit more organize I will totally do this! haa! 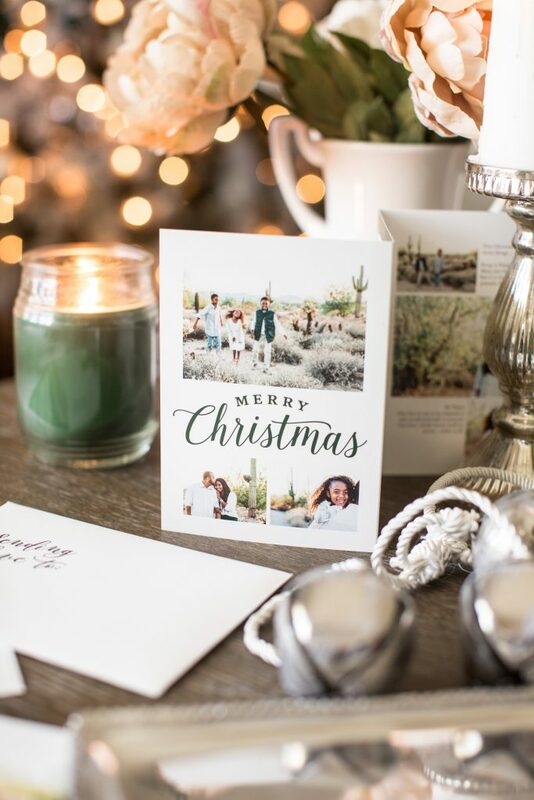 Are you guys ready to send out cards? 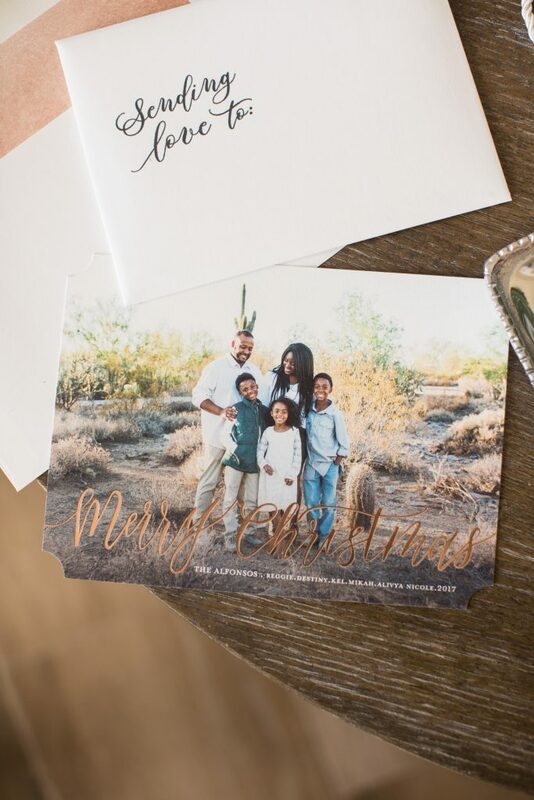 You can start planning your Christmas cards now with Shutterfly! Here are a few cards from years past!